Good teams plan great practices. Great teams have excellent practices, consistently. Building excellent practices is tough. Teams need frameworks for building balanced practices that don’t try to cover too many topics in one afternoon or force players to overexert themselves constantly. They need pod workouts that provide supplemental work for players, so practice time isn’t wasted on skills that are easily covered in small groups. And they need a good focus—a skill or skillset that can be broken down into digestible concepts and retained. Our Tuesday Tips authors have covered numerous ideas to help you build your game and level up your team. This week, we dug into the archives to build you a practice starter kit: how to think about your drills, build your pod workouts, and teach basic concepts like throwing, marking, and laying out. Call it a Tuesday Tips Practice Starter Kit. You shouldn’t spend every practice striving for perfection. Certain drills should allow—or even encourage—players to make mistakes in order to learn new skills. Others should encourage attention to detail and perfection. So how do you decide which framework you’re applying when? 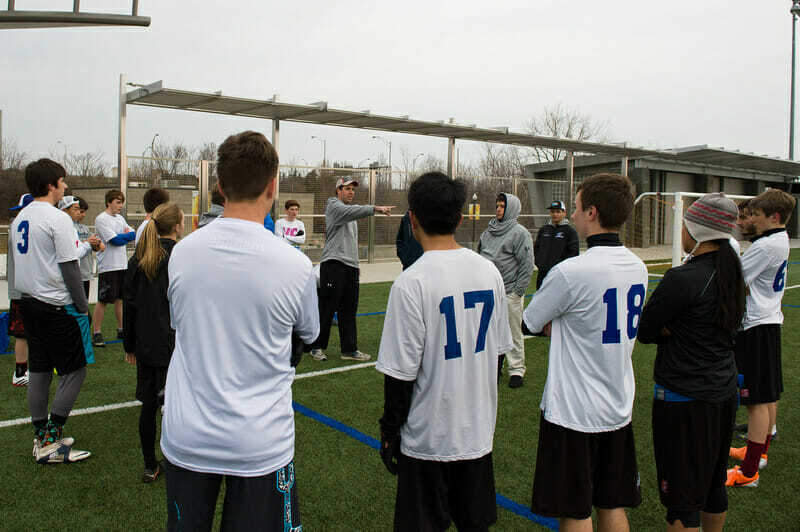 Ontario ultimate veteran Jamie Millage has sorted drills into Push and Perfect categories. He offers guidance on how to build a practice that balances these concepts so players aren’t trying to perfect a skill the first time they learn it, or making careless mistakes when they need to focus on the details. Plus, he adds a bonus section on how to coach or guide those teammates who are uncomfortable making mistakes in a practice setting. Not all pod workouts are created equal. Small groups are particularly flexible for handling those outside-of-practice musts, like focused throwing; speed and agility drills; track and hill workouts; and even games like 3-on-3 mini. But no matter what you’re covering, there’s a smart way to structure these critical small group practices. Take it from Strive & Uplift coach and Seattle Mixtape veteran, Bert Abbott. Check out her advice on how to set an intention for each pod workout and how to organize the different sections in a smart way that’ll build skills and prevent injuries. Is as easy as possible to catch. Lets the receiver catch the disc in a favorable or advantageous position. Minimizes any defender’s opportunity to get a block. Read Lipson’s piece to build a better idea of how to coach smart, effective throwing. Using video to illustrate a skill (individual or team) is still an underrated, underused method of coaching, especially when considering how to teach defense. So much of denying a space to a cutter or a thrower relies on understanding the shape of the field and your related body position. Where do you start if you’re a team leader, but you’ve never played under a defensive specialist? You start with great tape and analysis.2 That’s what AJ Klopfenstein offers up in his marking breakdown, using video clips to carefully show the concepts that distinguish decent marks from excellent ones. Watch the clips to build your vocabulary on how to approach the mark, coordinate your team-wide strategy, and talk about adjusting to the offense’s game plan. Indispensable Tuesday Tips columnist Alex Rummelhart has your guide to laying out. So make sure to think through your upcoming practice plans and secure some time to figure out how to hit the deck smartly and in style. Comments on "Tuesday Tips: Your Practice Plan Starter Kit, Presented By Spin"